These adorable dinosaur-themed bookmarks help students keep track of their fluency as they reread stories. They are ideal for short books that will be read multiple times and have an easily assessed word count, but they can be used with any book! 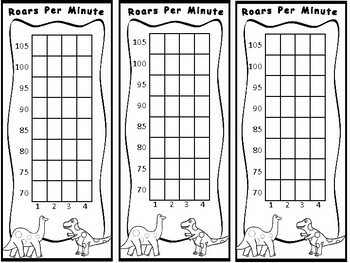 Plus, your students will love the dinosaurs AND getting to challenge themselves with each re-read. Have fun keeping track of your student's "roars" per minute!